Laboratory Digital pH Meter. (with pH Electrode CA - 11 & w/o ATC).FEATURES-* Compact Size, Ligh.. Laboratory Digital pH Meter. (with pH Electrode CA - 11 & with ATC).FEATURES-* Compact Size, Lig.. Laboratory Digital pH Meter. (with pH Electrode CA - 11).FEATURES :* Compact Size, Light Weight, Sta.. 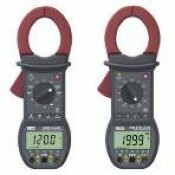 Description :G TECH Brand Digital Ac/Dc Digital Clamp Tester, This instrument is having very unique .. Features & Specifications :* Max. Conductor Size : 32 mm * Large LCD For Easy Reading. * Data Hol.. Features :* Conductor size is 26 mm. 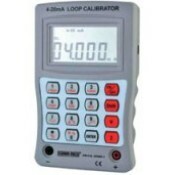 * 3 1/2 Digits LCD (1999 counts)* Auto Polarity Display* Measure.. Features & Specifications :* Max. conductor size 46.5mm. * Display : 3½ digit with sign Annunciat.. Features & Specifications :Ac Current Transducer TDA* Dual Aux. Power 110/220V AC* High Accuracy.. Features & Specifications :AC Voltage Transducer TDV Dual Aux. Power 110/220V AC*.. Features & Specification :* Battery Operation* Anti-parallax mirror scale* Sturdy ABS case* Outp.. Features :* One-handed simple, easy to operate. * Inbuilt referen..